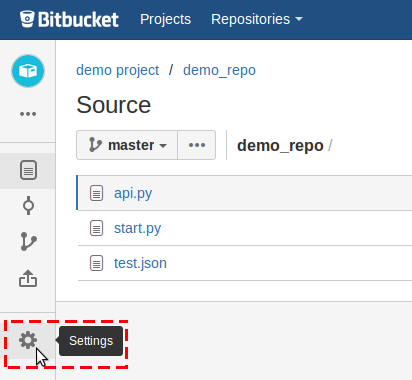 Fleep has a customized webhook for Bitbucket Server (on-premises) to receive updates into a Fleep conversation about the changes in your Bitbucket repository. 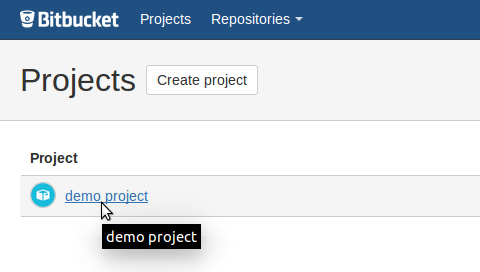 Log in to Bitbucket and from the Projects list select a project. From the Repositories list select a repository. 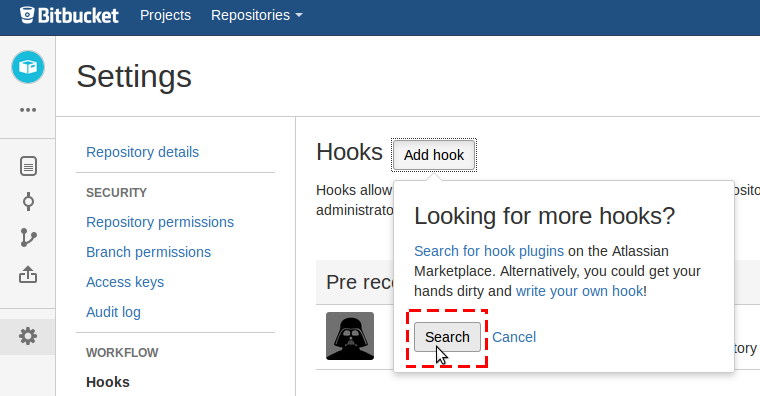 Select Hooks from the Workflow section. 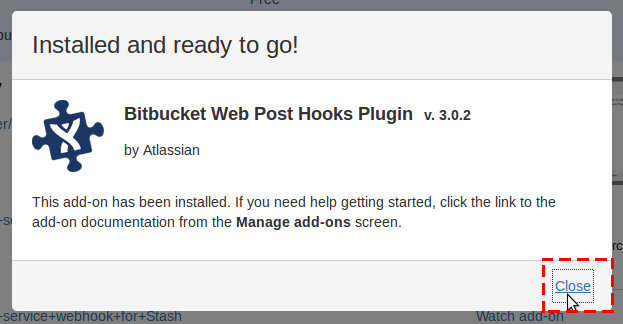 Select Post-Receive WebHooks from the Post receive section (make sure it’s enabled – green on the right). 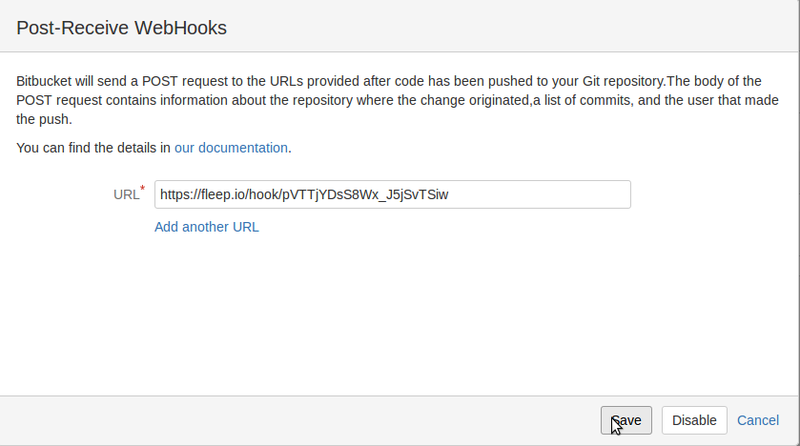 If you don’t see the Post-Receive WebHooks, follow steps 8.a-8.e. 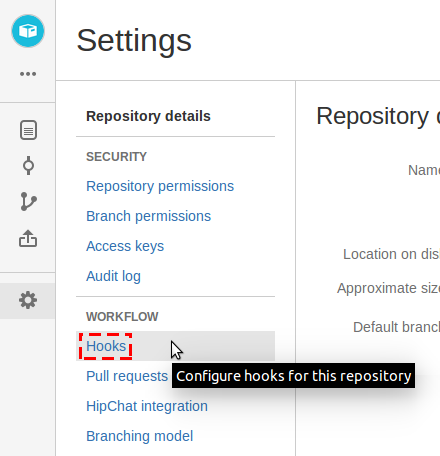 Skip steps 8.a-8.e if you were able to select Post-Receive WebHooks. 8.b Now, click on Search. 8.d. If the installation was successful, you will see a popup that says you’re Ready to go – close it. 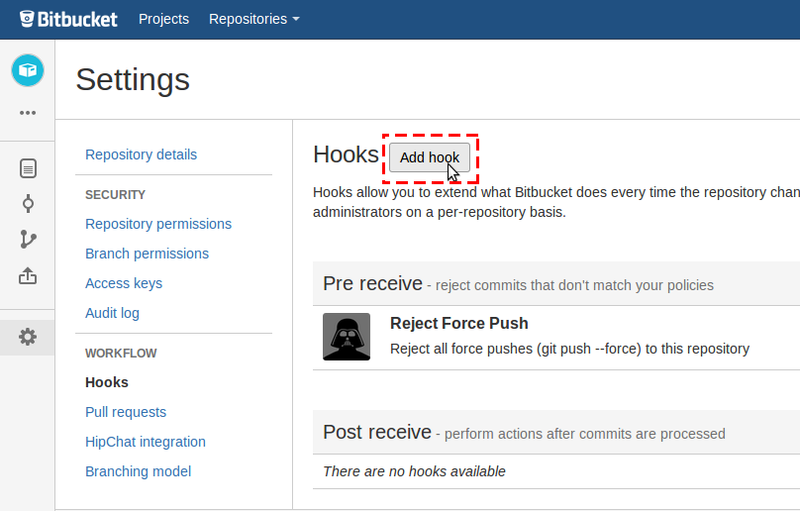 8.e Now, you can select Post-Receive Webhooks from the Post receive section. Make sure it’s enabled – green on the right. Refresh the browser if necessary. Paste the Hook URL from Fleep into the text box and hit Save. Done! You should now get notifications about push events.